The practice was invited to join six others in an international limited competition for the proposed National Gallery of Scottish Art and Design to be situated within the disused Central Post Office in George Square, Glasgow. The existing building, dating in parts from the 1840s, occupies a complete urban block. Three of its elevations are essentially walls of windows while the Ingram Street facade is largely a stone and glass screen wall. 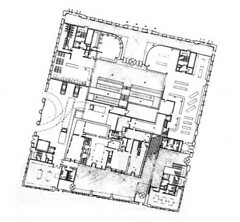 The exterior of the building could not be substantially amended but the interior could be completely removed. 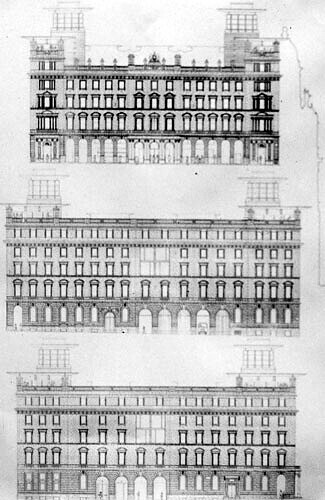 Our design attempted to make sense of the existing facades by placing against them all the ancillary accommodation required and locating the galleries themselves on the only free elevation - the roof plane. Only in this position could both the varying internal volumes and the admittance of light be freely manipulated. 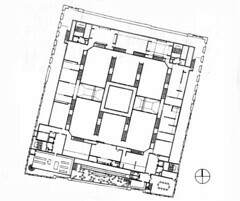 Between the galleries shafts of light were placed so that a large sculpture court below could be lit in a Piranesian way, from above, and by the Ingram Street facade from the south. 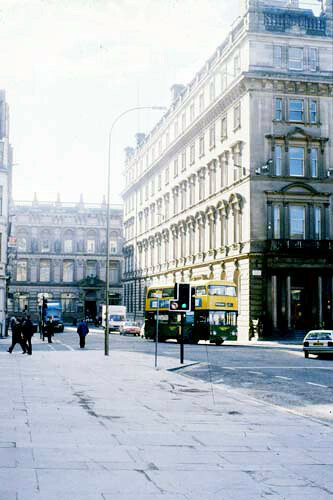 Entrance from George Square was by way of a colonnade and then a grand staircase to the sculpture court, which sat above a complete reconstruction of Mackintosh's Ingram Street tea rooms. From here escalators direct the visitor to a lantern light and then on upwards to the galleries. 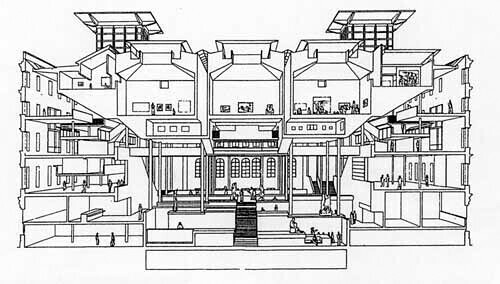 These are arranged chronologically horizontally, and by subject matter vertically, allowing cross-referencing between subjects by connecting staircases, the whole composition acting as a gigantic suspended inhabited loft above the sculpture court. 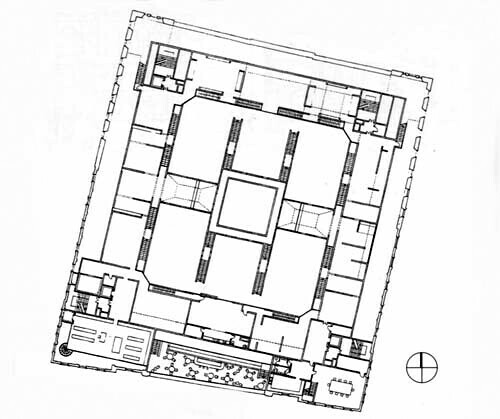 A series of grand formal galleries in the centre is complemented by an upper ring of special rooms designed around individual collections of paintings. 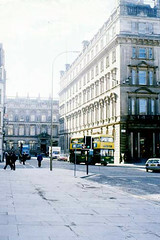 The journey to the sky culminated in look out belvederes over George Square and a summer cafe terrace above Ingram Street. 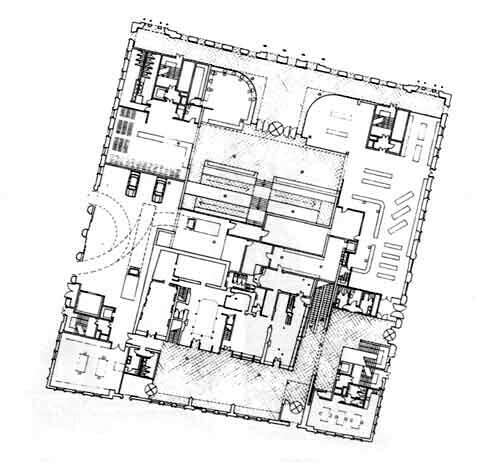 The project was unsuccessful and the Post Office site was eventually converted to commercial use.